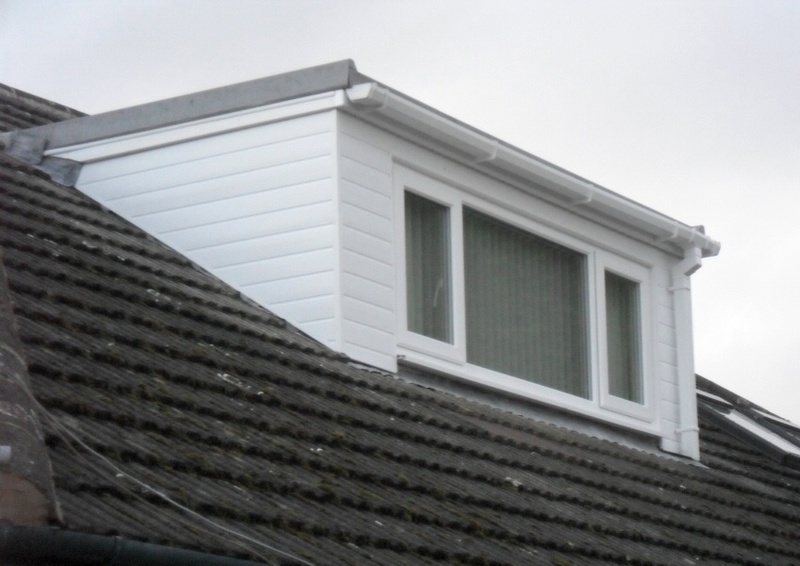 Double glazing, fascias, soffits and guttering installed to a house in Thornton CleveleysJ C Joinery are well established installers of UPVC, double glazing, soffits, fascias (cladding), guttering and dry verge systems. 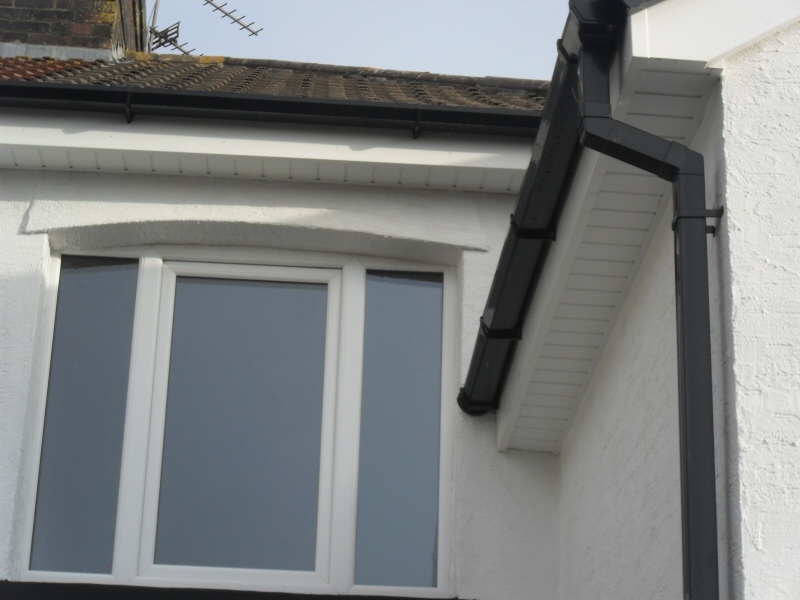 New and replacement UPVC installations in a wide variety of styles, from a single door, window or section of pipework to your whole property. Other UPVC Window and Door Repairs including hinge, handle and / or lock replacement on one or all of your windows and doors. Internal plastic sills for easy cleaning and no need to paint. 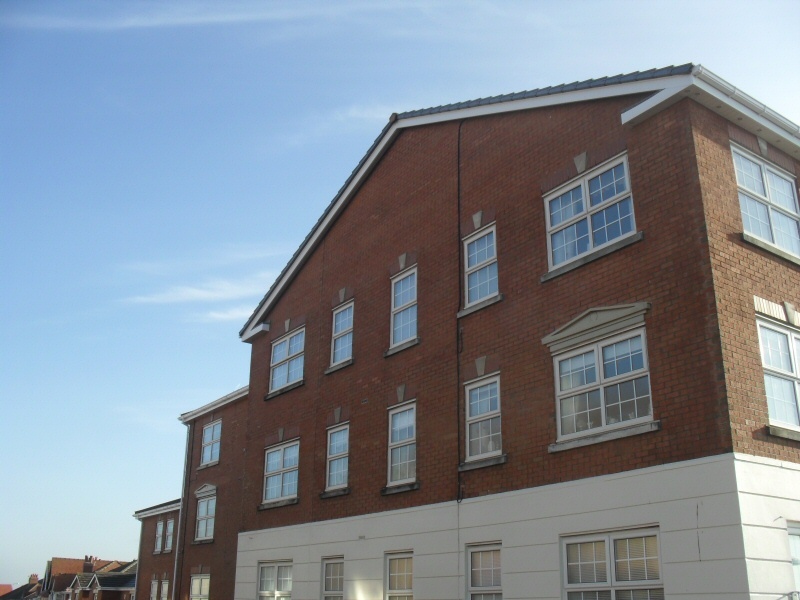 The latest UPVC sash windows to keep the period feel to your home. 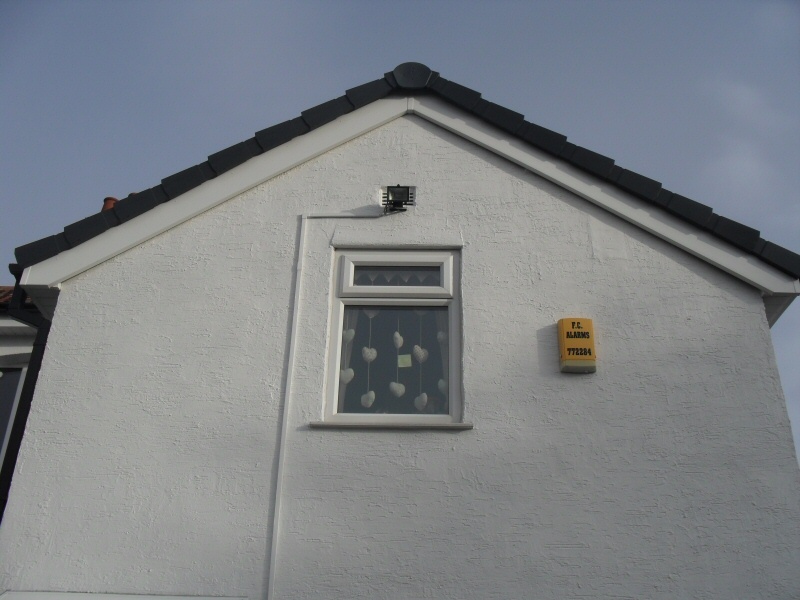 We install Pilkington K glass as standard and plastics are available in a range of colours including: white, rosewood, cream, black, brown and pine, backed with a 10 year guarantee against fading and discolouring. 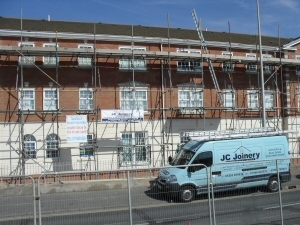 With J C Joinery, you can be assured of Double Glazing, Soffits, Fascias and Guttering finished to a high standard, using quality materials and at a reasonable price. 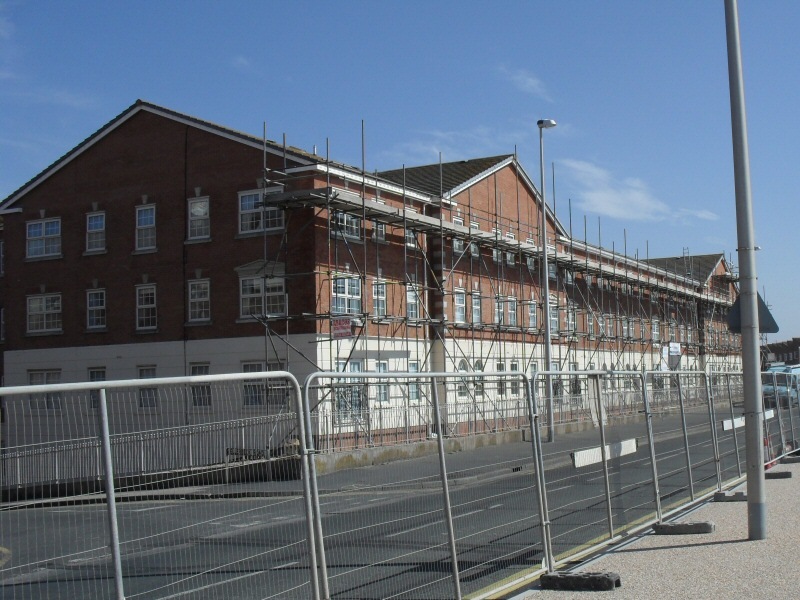 Work in progress replacing guttering at Admirals Sound, Thornton CleveleysWe use industry recognised quality materials, such as plastics from Swish Building Products, high insulation Pilkington K glass and Marshall Tuflex guttering and downpipes. And to ensure longevity, we use quality fittings throughout. 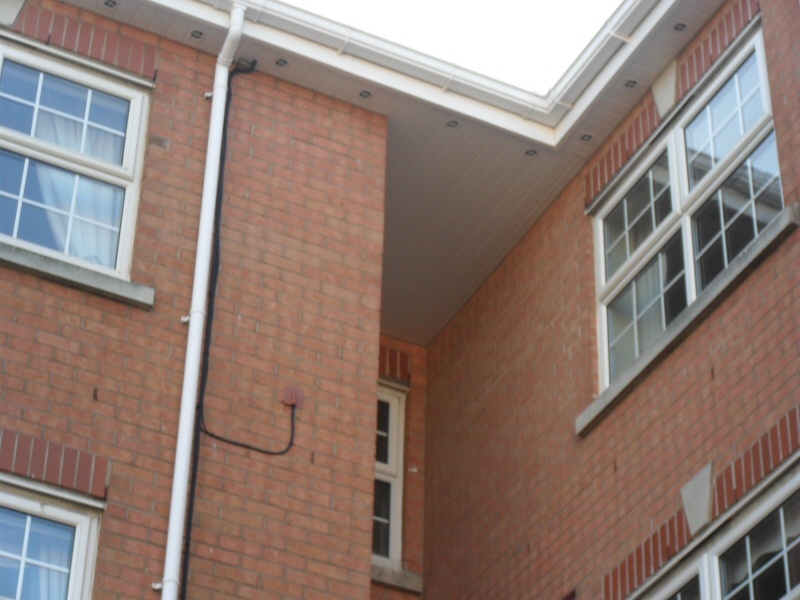 For example, we only use stainless steel screws in our soffits and fascias. This means that you won't see rusty water marks in a few years dripping from under the cap. For examples of our Double Glazing, Soffits, Fascias and Guttering work, have a look through our Photo Gallery below. References from previous customers are also available on our Testimonials page. 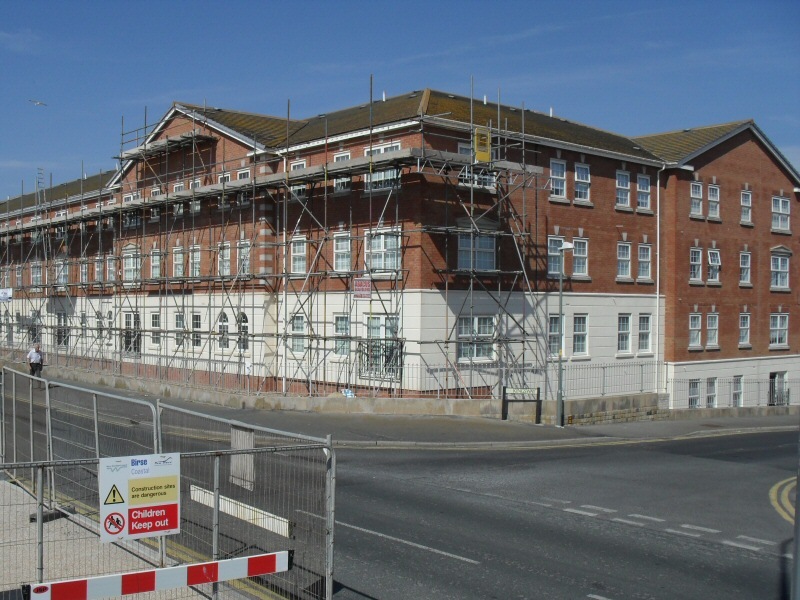 A recent example of our commercial work is Admirals Sound in Thornton Cleveleys, a 4 storey (at rear) block of flats for which we replaced 1000ft+ of fascias, gutters, soffits and downpipes.